Take the road less travelled and explore Kenya away from the usual beaten track of the tourists. Take in the beauty of Mount Kenya and explore the arid Samburu National Park where Elsa the lioness of Born Free fame was raised by the Adamson’s. If you are really feeling adventurous, you can go on a camel ride and learn how important these animals are to the local tribes. Learn about the interesting culture of the Samburu or butterfly people during a stay in their village. Go on a bush walk with one of their warriors and learn how they survive in this harsh environment. Enjoy a home stay with the colorful Samburu people. 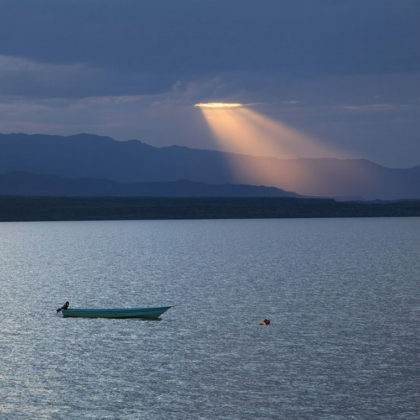 Take in the beauty of Lake Baringo. Experience life on a working tea plantation. 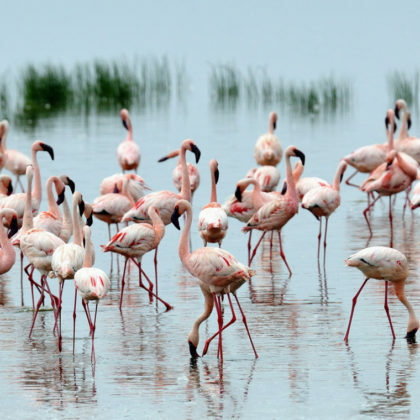 See thousands of flamingos on Lake Nakuru. 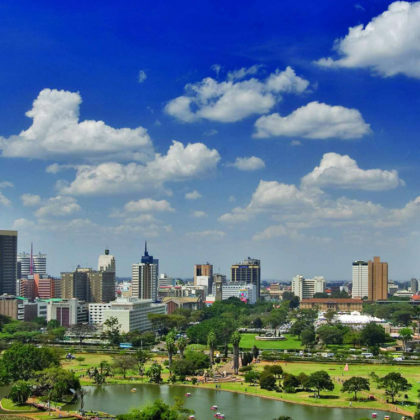 On the first day of your Kenya off the beaten track holiday package, you will arrive in the bustling capital of Nairobi. You will be met at the airport and transferred to your hotel. The remainder of the day is yours to spend at leisure. 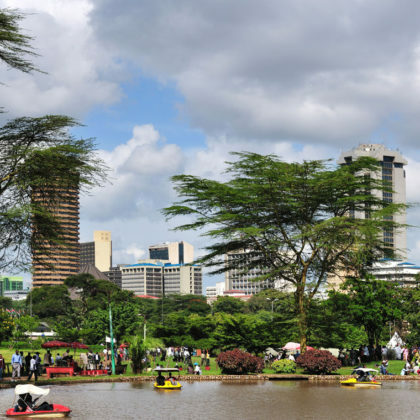 Some of the local attractions that you might like to see include the Karen Blixen Museum or the Giraffe Centre. Today, you will travel to Mount Kenya, the second highest mountain in Africa, arriving in time for lunch. 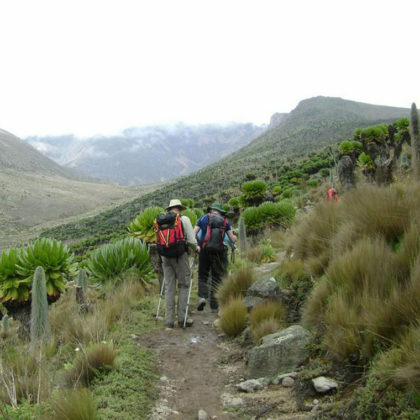 The afternoon can be spent at leisure or you can enjoy an optional trek up the base of Mount Kenya through the forest where you may see evidence of elephants, bushbuck and baboons. 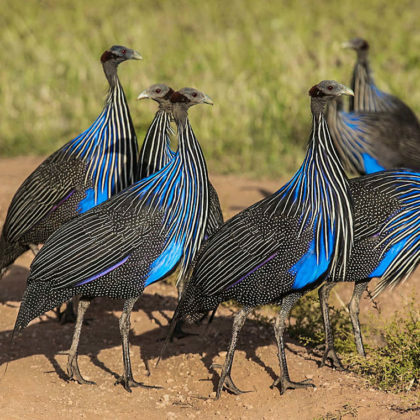 Travel to the arid region of Samburu which is bisected by the the Ewaso Ng’iro River which flows through doum palm groves and thick riverine forests providing a life line for the areas many animals, including the desert adapted gerenuk and oryx. It is one of the regions that the Adamson’s raised the lioness Elsa of Born Free fame. The river is also home to a large population of Nile crocodiles. You will arrive after lunch and set out on a guided afternoon game drive where the experienced guide will help track the wildlife for you. Today, you will enjoy morning and afternoon game drives in the Samburu and Buffalo Springs National Reserves. Spot reddish elephants covered in dust heading to the river to drink, or pods of hippos lazily laughing from the safety of the river. You may also see the reticulated giraffe and prides of lion resting in the sparse shade of an acacia tree. 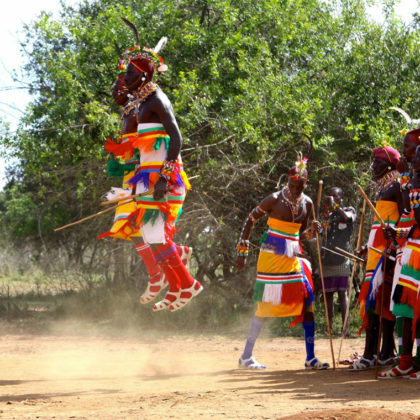 You can also learn about the way of life of the Samburu people, known as the butterfly people due to their colorful dress while on a cultural walk to a local village. Travel to Maralal and stay in a lodge which is built to support local conservation efforts. The lodge is just down the road from the town of Maralal, which is the cultural and political base for the vibrant Samburu tribe. 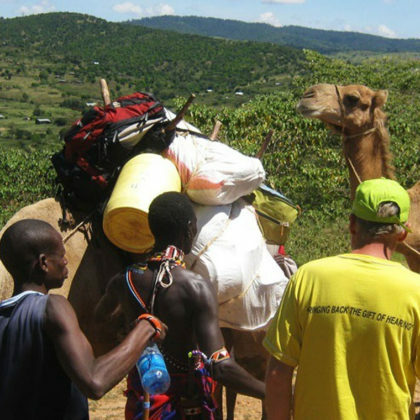 After lunch, you can enjoy going on a camel trek like the locals do. You have a choice of accommodation; you can either stay at the Fly camp or experience local culture by staying in a traditional Samburu village. Transfer back to the main lodge after breakfast. You can send the day relaxing and have a refreshing dip in the swimming pool. You can set out with the rangers or a Samburu warrior and learn to track leopards as well as learn true bush-craft survival skills. They will also explain the movements of wildlife in the region which vary according to the pattern of rainfall, water availability and grazing. You will travel to beautiful Lake Baringo today, where you will transfer by boat to your island accommodation, arriving in time for lunch. In the afternoon, you can enjoy some optional activities such as a boat trip on the lake to see some of the regions birdlife including pelicans and fish eagles. Enjoy sundowners while cruising the lake and taking in the view. Travel to the Nakuru National Park arriving in time for lunch. This lake has been described as one of the most beautiful scenes in Africa. The lake is home to over 1.5 million pink flamingos although their numbers can vary. Nakuru is also home to some of the last white rhino in Kenya and the rare Rothschilds giraffe which you can seek on guided game drives. 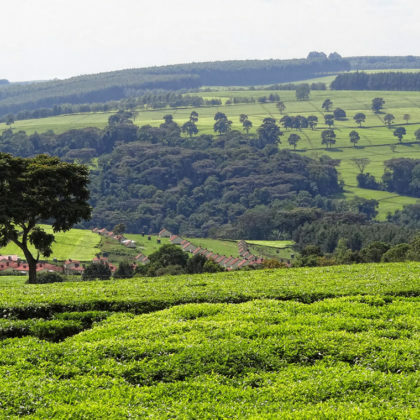 Travel to the highlands of Kenya which was the favourite colonial retreat of the white settlers and take in the beautiful scenery of the tea plantations. 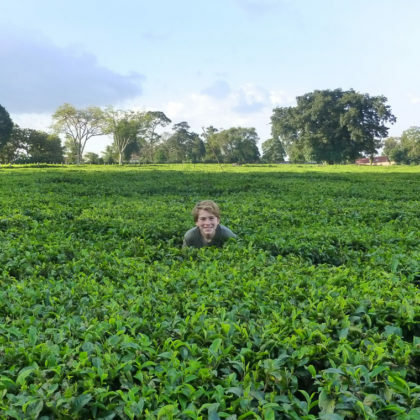 You will arrive in time for lunch and spend the afternoon exploring the tea plantations and surrounding areas and of course enjoy a cup of freshly brewed Kenyan tea. Today, you will travel back to the capital city Nairobi. In the afternoon you can relax or arrange an optional excursion to the Nairobi National Park or the David Sheldrick Elephant Orphanage. This is the final day of your Kenya off the Beaten Track holiday package and after breakfast you will be taken to the Jomo Kenyatta International Airport for your flight.